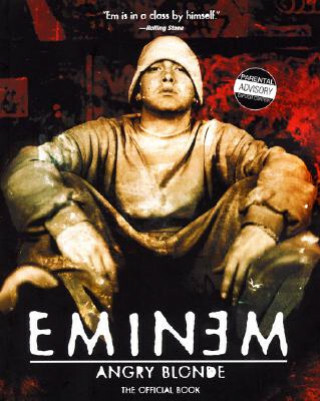 A glimpse at the REAL Slim Shady: Enigmatic rap superstar Eminem offers up his uncensored lyrics in this international bestseller. (72,000 sold of the hardback edition in the UK). Eminem's dominance in current American popular culture cannot be denied. His controversial songs and personal dramas have been the subject of headlines in just about every major international music magazine and newspaper. His refusal to pander to the press and his often flippant statements during interviews have only added to his appeal for the millions of young fans who worship him. Whether it's his nasty divorce with his wife Kim, his ongoing battle with gay rights organisations, the extraodinarily violent content of his songs, or his rumoured affair with superstar Mariah Carey, Eminem and his exploits cannot avoid the media spotlight. But despite the staggering album sales, the sold-out concerts, and the complete, breathless attention of legions of fans and an insatiable media, Eminem himself manages to remain an incorrigible enigma. This book, featuring official lyrics, personal commentary, and many never-before-seen photos, begins to illuminate this elusive star. Angry Blonde offers an unprecedented look into the mind of a modern musical genius.